Recently, three occurrences brought to light the family of Etienne de Mestre and Sarah Lamb. The "de Mestre Researchers" were contacted by two descendants of Ellen Ahoy and William Callan, looking for information about their ancestor, Etienne de Mestre. These two did not know each other. We were also contacted by Barry Kelly, who is married to a descendant of Gwedoline Linno Mary Ahoy, who married William I Thomas. At the same time, a Ramsay/ de Mestre cousin lent me a book, "The Calling of the Spirits" by Eileen Morgan, also a descendant of Gwendoline and William Thomas, in which she describes her life growing up on the South Coast of New South Wales. All these families had grown up knowing of the connection of Helen de Mestre to Etienne, but because there were no documented records, this family had been overlooked in most family histories. Since then, I have also become aware of the studies of Aboriginal families by Norman Tindale, who documented this family in the 1920's. The following is how I believe this family fits in to the de Mestre family as a whole. Helen (or Ellen) de Mestre was the daughter of Etienne de Mestre and Sarah Lamb. Little is known about Sarah, no records have been found of her life after the birth of Helen. Etienne Livingstone de Mestre was born in 1832, the son of Prosper de Mestre, and was the owner of Archer, the winner of the first Melbourne Cup. Helen was born about 1850, when Etienne was about 18, and died in 1934 at Wallaga Lake. 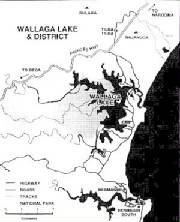 Helen lived at Wallaga Lake, and is buried in Wallaga Lake Koori Cemetery. In 1873, when he was 41, Etienne married Clara Rowe. She was 21. Helen de Mestre had 4 children with Alick (Jacky) Bond. Jacky Bond was a Tracker. They were William, Andy, Joe and Jack. Andy served in World War I in the 33rd Battalion. Helen then had 3 children with James Ahoy, a Chinese market gardener from Braidwood. James Ahoy had arrived in Australia in 1859, but later returned to China, leaving his Australian family behind. James and Helen’s family were Gwendoline Linno Mary, born 1886, Ellen, and Charlie who married Louisa Blundell in 1911. Gwendoline married William Iberia Thomas, and with him had 10 children. Ellen Ahoy married William Callan, and moved to Queensland. They had 7 children. William Callan was a professional cyclist, who, was killed by a falling tree during a race. Helen de Mestre at Wallaga Lake, where she was known as Granny Ellen or Granny Helen. These are some links to web sites which might interest you. There are many sites which mention Guboo Ted Thomas, if you search Google. Cathy Dunn’s site on Ulladulla Local History and local Aboriginal and Chinese families. I'd like to thank Amanda Greaves, Amanda Foy, Barry Kelly and Cathy Dunn for their help in tracing the family of Helen de Mestre. 2. Helen (Ellen) DE MESTRE. Born about 1860. Helen (Ellen) died in Wallaga Lake in 1934, she was 74. Buried in Cemetery Point, Wallaga Lake, NSW. Helen (Ellen) and Alick (Jacky) BOND. Born in 1834 in NSW. ii. William. Born in 1870s. Helen (Ellen) and Samuel HADDIGADDI, son of Paddy HADDIGADDI & Lucy. Born in 1866. Samuel died in Lidcombe State Hospital in 1942, he was 76. 3. Joe BOND. Born in mid 1870s in Araluen, NSW. 4. Andy BOND. Born in 1879 in Braidwood, NSW. Andy died in Berry, NSW on 11 Oct 1943, he was 64. 5. Gwendoline Linno Mary AHOY. Born in 1886 in Jerubaicumbene, near Braidwood. 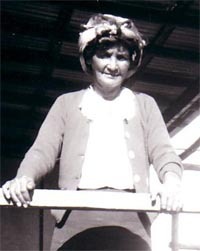 Gwendoline Linno Mary died in Wallaga Lake, NSW in 1959, she was 73. Buried in Cemetery Point, Wallaga Lake, NSW. 6. Ellen (Helen) AHOY. Ellen (Helen) died about 1974 in Toowoomba Hospital, Qld, Age 97. 7. (Charles) Charlie AHOY. Charlie died on 14 July 1961, and is buried in Armidale, NSW.